Every business has its cast of characters and Rise of the Usher gives us a behind-the-scenes look at what goes on in the front of the house at a Broadway theater. Jessica Elkin doesn’t waste any time delving into those characters as she jumps right into the action. Accents, mannerisms and voice changes abound as she carefully and playfully jumps from one eccentric usher to the house manager to another usher to an ex-con ticket-taker and back again until you get a sense of who’s who in her zany romp to the top of the usher totem pole. It was a pleasure watching a fellow Ohioan up on a New York stage enjoying her craft. Mary Catherine Donnelly’s direction gave way to a fun and quirky night of theater as Jessica, who also wrote the piece, found a job, a purpose and even love on her journey. Many ushers will no doubt be able to relate to the antics that are being portrayed in front of them. 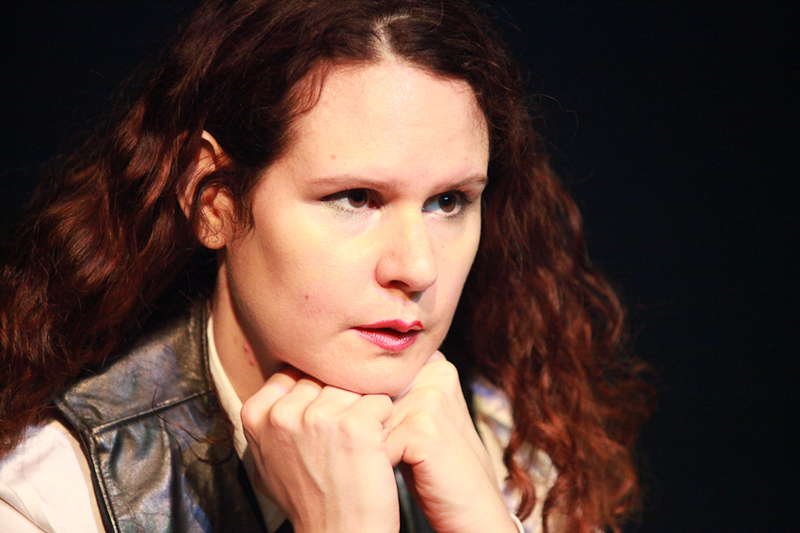 But whether you’re an usher, an actor, an avid theater-goer or just someone who likes to laugh, catch Jessica Elkin’s performance in the 16th Annual Midtown International Theatre Festival before the lights go down, the curtain comes up and an usher keeps YOU from getting a seat! Nick is an actor/writer/director/producer from Canton, OH. He is currently a founding board member of Non Disposable Productions and a member of Theatre Beyond Broadway. Nick has worked on TV pilots, film productions and numerous theater projects in NYC. Favorite acting credits include Tony Wendice, “Dial ‘M’ for Murder,” Cain/Japeth, “Children of Eden,” Philip, “The Lion in Winter,” and Oscar Lindquist, “Sweet Charity.” Nick is currently writing a musical, “Lonely Moon” as well as a novel, “3225.” Nick loves collaborating with other artists and looks forward to creating exceptional art and connection.